Powder flow specialist Freeman Technology will co-host a free seminar, “Understanding Powder Behavior in Food, Pharma and Chemical Industries,” with Evonik Corporation on February 27th 2019 at Evonik’s facility in Piscataway, NJ. 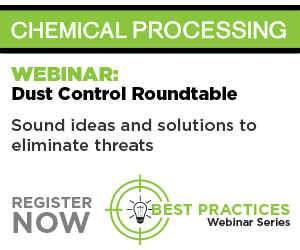 Leaders in the field will discuss the industrial applications of powder rheology. The seminar will include presentations from John Yin, product manager at Freeman Technology, who will provide an introduction to understanding powder flow and powder behavior, and speakers from Evonik Corporation who will discuss characterizing the flow properties of food and chemical products. Delegates will also hear from guest speaker Dr. James Scicolone, assistant research professor at Rutgers University, who will review how comprehensive material characterization can promote rapid process development. There will also be an opportunity for attendees to see a demonstration of Freeman Technology’s FT4 Powder Rheometer while taking a tour of Evonik’s facility. Visitors will observe a tabletting process from formulation through to coating.